You are now witness to the reason why that just because a photo looks OK on a mantlepiece, it is not necessarily useful on an album cover. Especially if it is also void of a title. But I am keen to guess. If I am not mistaken, this is Germany-born Jazz pianist John Berger. 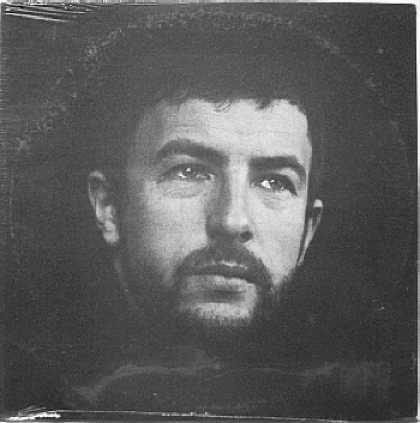 And since the name of the album is not on the photo, I will hazard a guess that it is the first album he recorded in 1966 when emigrating to New York on the ESP label. It is apparently not among his exemplary work. Berger had a Ph. D in musicology, and had taught music alongside colleagues Jack DeJohnette, Sam Rivers, and Anthony Braxton. Lately, he has lent his talents to studio work with The Cardigans, Natalie Marchant, and Jeff Buckley. 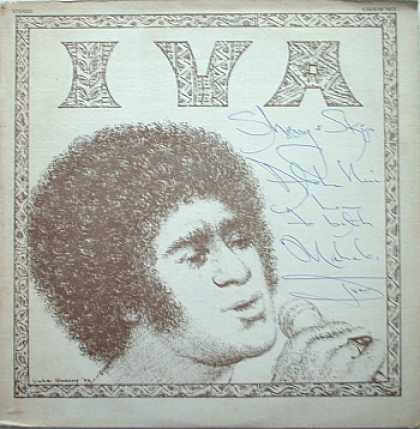 Don Ho sidekick Iva Kinimaka sings with his self-titled (and apparently self-drawn) 1972 album full of Hawaiian standards and a couple of stand-outs, such as “Country Feeling” and “Mockingbird Hill” (a 1951 song popularized by Patti Page). He is a frequent guest on the local Hawaiian talk show Nighttime with Andy Bumatai. A video appears below.